This month sees the publication of the first part of Fruit Trade 2025, a special report looking at future trends in the international fresh produce business. The report is available to all, free of charge, and can be downloaded from the Fruit Logistica website. 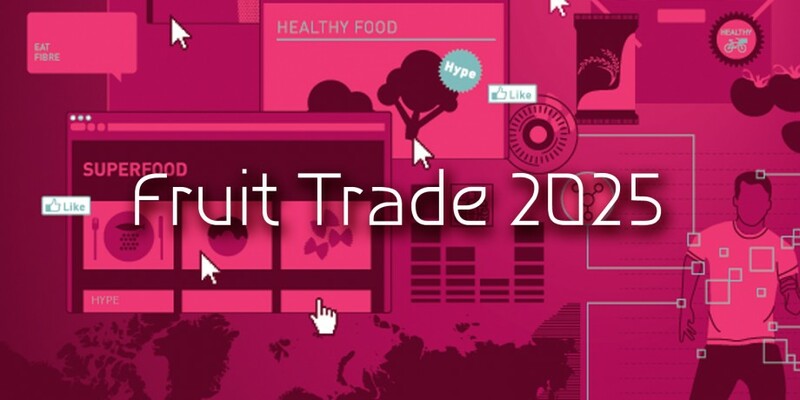 Download your free copy of Fruit Trade 2025: Part 1 – Key Trends and Drivers from the Fruit Logistica website. Commissioned by leading industry trade exhibition Fruit Logistica, compiled by renowned Swiss think-tank the Gottlieb Duttweiler Institute and first unveiled in Berlin during the recent Fruitnet World of Fresh Ideas on the eve of this year’s Fruit Logistica, the in-depth study highlights several important developments that everyone working in the fruit and vegetable business will need to watch out for between now and 2025. These include developments and changes in the value chain, consumer demand, shopper behaviour, retail, marketing and other key areas; all of which could have a big impact on the way you, your partners and your competitors do business in the coming years. For example, while the global fresh produce trade has done its best in the past decade to target efficiency and reduce costs, it now faces a new challenge as consumers search increasingly for authenticity and transparency, all the while encouraged by rapidly evolving media channels. In the meantime, the report suggests that the fresh produce value chain is becoming atomised, by which it means that the distribution channels involved are evolving fast and in different directions. Consumers’ interaction with established and emerging marketers and retailers is becoming increasingly digital. What’s more, the drive for authenticity is seen by some as an opportunity to develop growers’ emerging role as the new marketing heroes. What will this mean for the fruit and vegetable business in the coming years? What major changes do international experts see in the fresh produce sector? Which topics will we be discussing ten years from now? And what innovations will customers expect? This month’s first instalment, which you can download free of charge from the Fruit Logistica website, aims to answer those and other questions, drawing on the expertise of key players from along the entire value chain. Parts Two, Three and Four will be published in April, May and June respectively. Fruitnet Media International, Fruit Logistica’s official cooperation partner, is also publishing the report, serialising it across the next four issues of leading industry publications Eurofruit and Asiafruit. According to Wilfried Wollbold, Fruit Logistica global brand manager, providing the industry with a free report of this kind is to offer ideas, incentives and insights that can promote growth, as well as to get people talking about future developments in the fresh produce business. “This trend analysis is our way of thanking all fresh produce industry customers and partners,” he explains. “They have supported Fruit Logistica over the last 25 years and helped make it the leading fresh produce industry business platform. ".